Here's our "best of the best" for the last week of January! There are a few possible FREEBIES and at least ONE MONEYMAKER! Check them out! 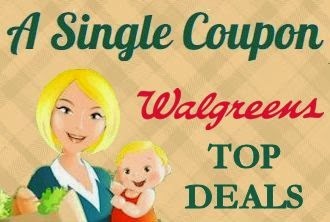 NEW TO COUPONING AT WALGREENS? START HERE. Final Price: FREE + $1.00 MONEYMAKER! Patrick is a sales executive, husband, and father of four children; a son that graduated college, a son in college, a daughter in grade school, and a 5-year old son. He is an accomplished couponer and knowledgeable in the loyalty rewards programs at the major drugstore retailers; CVS, Rite Aid and Walgreens. Follow Patrick's Weekly Deals and Shopping Trips and visit our Insiders Chat Group to ask questions and master the drugstores for yourself!